Oxygen Recovery Kits are latex free to ensure patients do not contract allergies. They are manufcatured with precision and guarantee smooth operation. 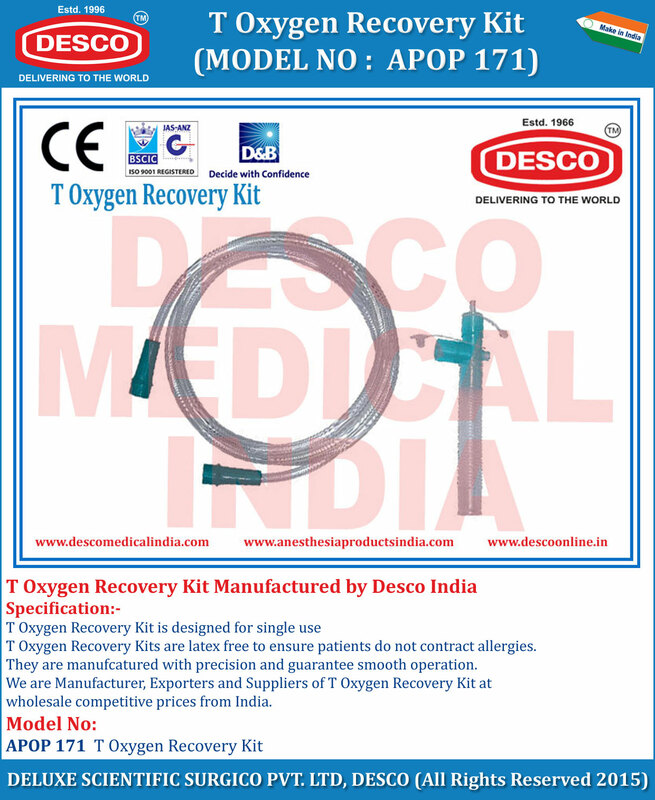 We are Manufacturer, Exporters and Suppliers of T Oxygen Recovery Kit at wholesale competitive prices from India.